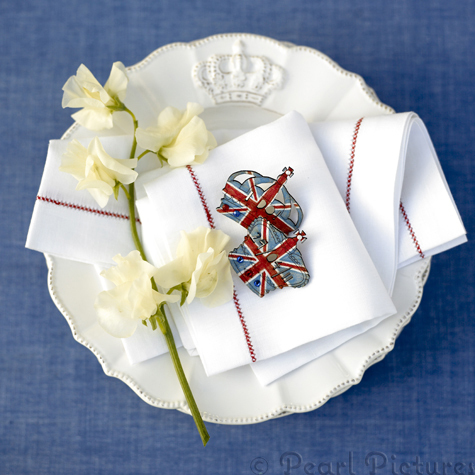 A month or so back I got together with a couple of lovely ladies and we decided to put on a shoot to celebrate the Royal Wedding. 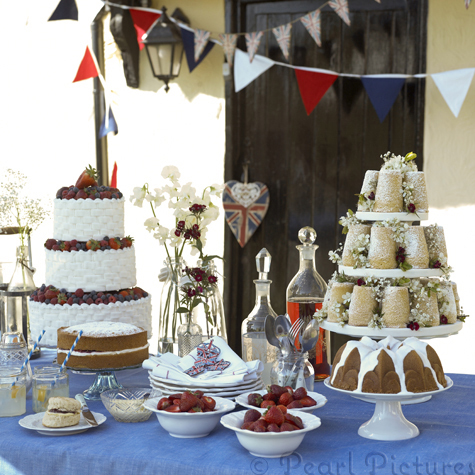 Knowing that people are planning the traditional celebratory parties, we decided to shoot a Royal Wedding garden party. Making this happen was myself taking the photographs, as Jemma Watts Photography, Kate Poulter from Pat-a-cake-Pat-a-cake making the cakes and Pippa Jameson Interior Stylists doing the wonderful styling. 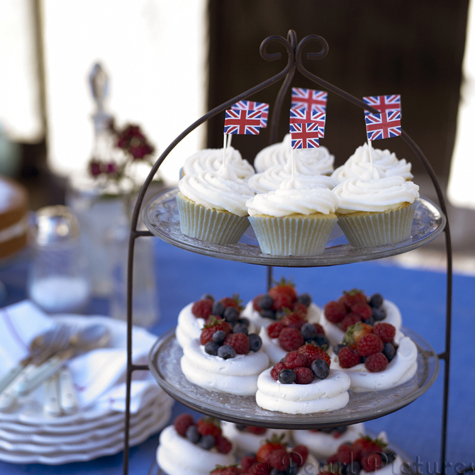 Kate chose some very traditional English recipes, which included a Victoria Sponge, meringue nests full of juicy strawberries and raspberries, and of course good old scones with clotted cream and lashings of jam. She is so creative with her cakes that she also added in some more fun designs. 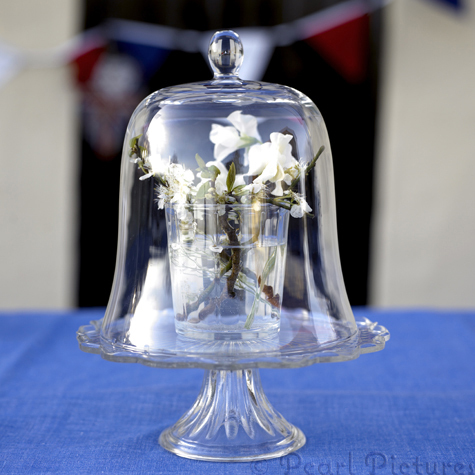 We had 'bunting cakes', a basket-weave cake and a 'sandcastle' cake, which Kate decorated with Sweet William flowers, provided by Rebel Rebel, and blossom from the garden. Main shot credits: From left: Glass plates on metal cake stand, Camel & Yak. 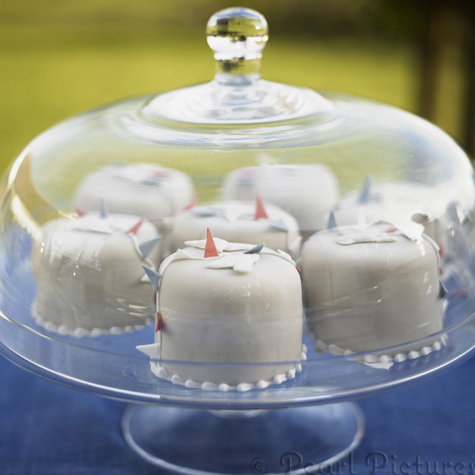 Glass cake stand (with bunting cupcakes), CocoMale. Bottle holder, Garden Trading. Wooden heart on front door, Wooden bunting, both Lily & Lime. 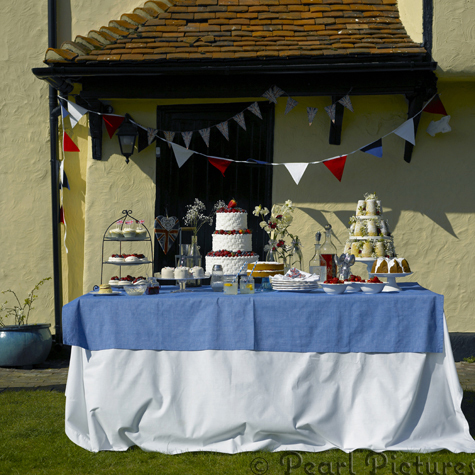 Fabric bunting, Backgrounds. Glass stand for weaved cake & blue glass cake stand (with Victoria sponge)both Contemporary Home. Sugar shaker, Sorbet Living, Tall glass bottles, Crown plates & bowls, The Packhouse. Linen napkin, Lily & Lime. Glass bottles with cordial, The Packhouse. Small etched bottle with red flower, Sage, Inspired By Life. All cakes supplied by Pat A Cake Pat A Cake, All flowers supplied by Rebel Rebel. 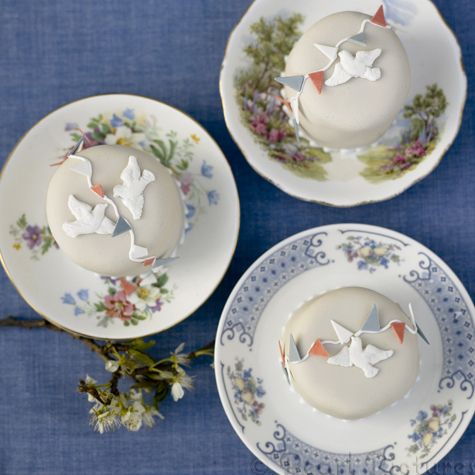 Badges, I do & Wedding date by Hanna Melin.